I was going for a meeting from the right end of Lagos far towards Onigbongbo, I paired chunky sole loafers with my attire, cleaned and polished – but I would keep it separately in my toté bag alongside my pen perfume, and a tiny make-up purse in my hand bag, then wear slip-ons and set out on my journey. Five hours of waiting for a fallen truck ahead of the road to be moved by road safety ground men had me restless as I arrived Obalende. The small bus I followed from Ajah was a ramshackle of steel box, with gliding parts on a wheel; even worse, a drowsy woman and sweaty man through the entire ride had flanked me on both sides. My entire day had sucked. I had lumbered through it with a certain undercurrent of despair. The initial plan had been mapped differently though. I school on the far end of Ajah, and stereotypes aside, going anywhere on the mainland comes with the same insurmountable task of trawling through Lagos’ literal urban jungle of smoke fumes, loud horns and the occasional random arm grab that will most probably prelude getting relieved of your wallet. So I’d wisely decided to use a BRT. I stood for nearly one long hour, watching more people join the queue in-wait at board point even though, there was actual bus in sight. I checked my watch to see how behind I was on schedule, considering an Uber as I contemplated alternatives. Sadly, my bank account balance disagreed. That random adulting decision of circumstance eventually paid off when I found myself in the cheap (dis)comfort of a yellow bus, instead of what would have been a long-term voluntary hunger strike if I had chosen a five hour air-conditioned ride. 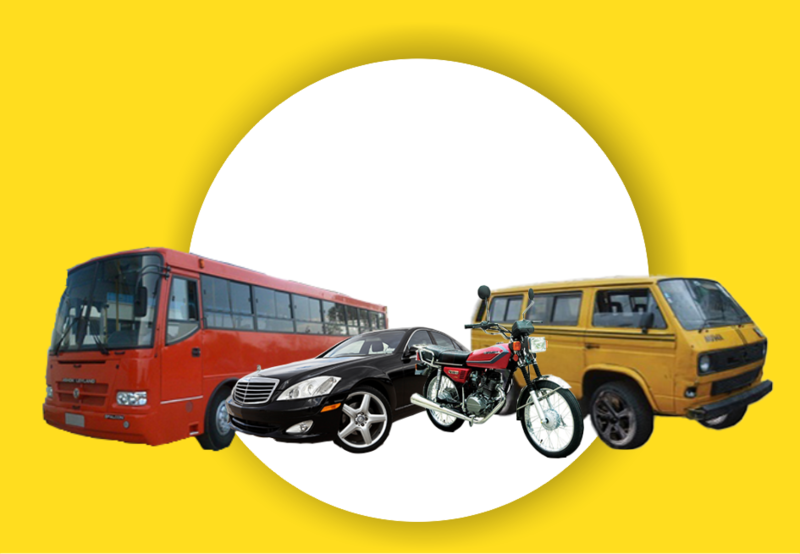 In the weeks since that day, I’ve been thinking a lot about how I would have taken an Okada, aka “motorcycle taxi”, the Grandmaster of Lagos public fast transit. Make that 10 and I would have gotten to the meeting just in time, thanks to their ability to maneuver routes and paths no other motor vehicle can use. But ever since I got slightly hit by a car on a narrow road in Agege, I have had an aversion towards crossing wide roads. Riding the Lekki-Epe freeway on a two-wheeled vehicle would be somewhat of a daredevil stunt for my Abuja-bred sensibilities. Lagos is a projected cultural and commercial mega-city of the future but the city’s transportation woes makes it impossible for anyone to leave home without carefully planning every step of the way. While BRT busses make up for comfort what they lack in organization, the large number of people who depend on its route network, makes it largely inaccessible to anyone working on a clock. 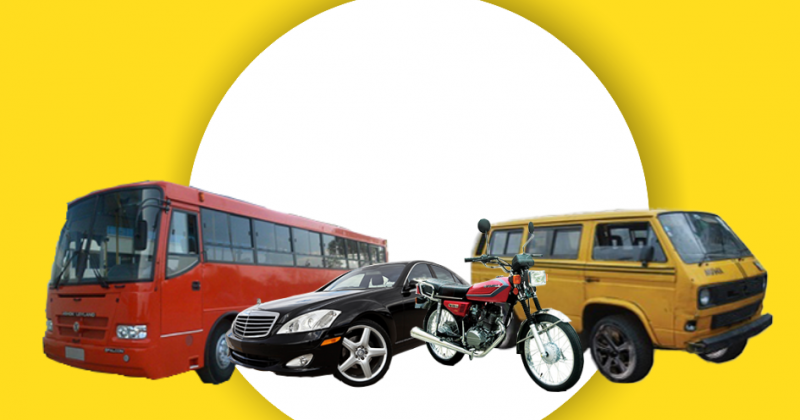 Yellow Danfo buses are a logical alternative, but the strife of the journey is not only implied in the physical outlook of the often outdated buses, it also reflects in the generally underwhelming or potentially dangerous experience. But in a country where only a few have enough to eat, even fewer can afford to hop cabs or request an Uber off a luxurious smartphone with Internet access. Okada rides are the banished crown prince mode of transportation in Lagos still valued by many who dare to brave underlying safety and legal concerns for speed and efficiency. Agreed, the need to affirm social status is an underlying factor that determines how people arrive in style (or do whatever the opposite of arriving-in-style means), but it is most important for anyone trying to survive in Lagos to know the best hacks that work for them.